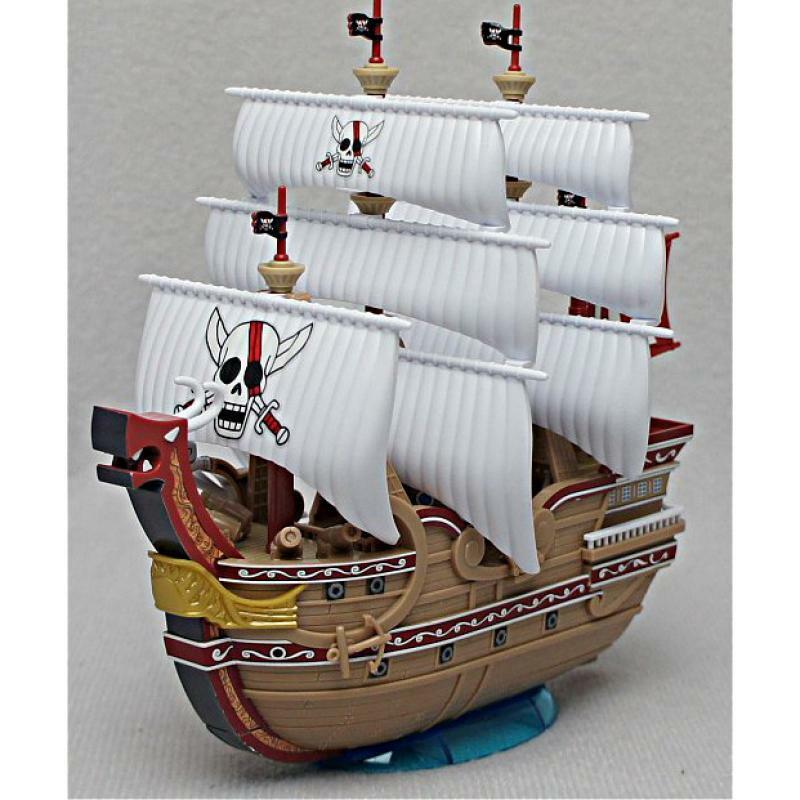 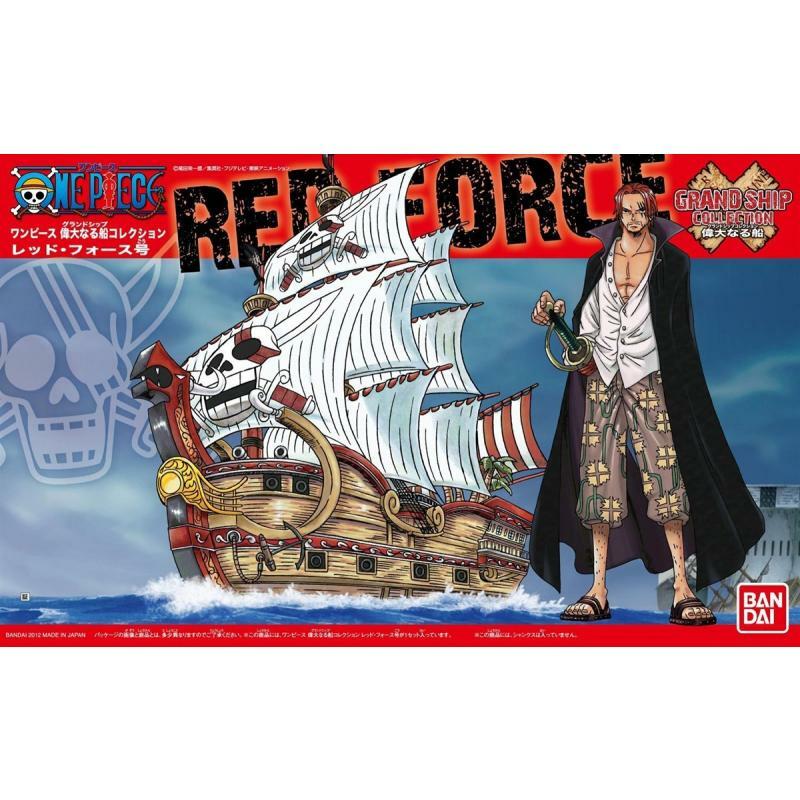 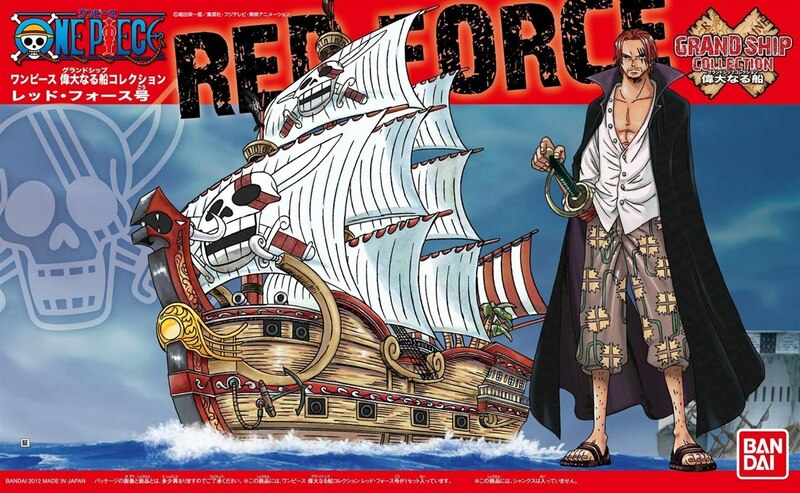 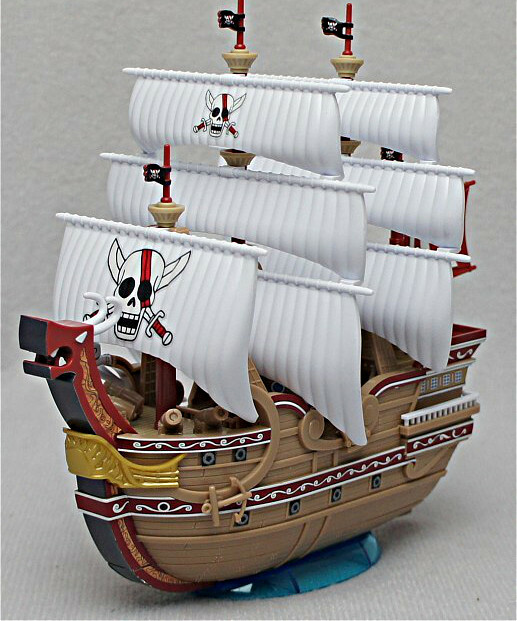 Shanks' flag ship joins a new series of 6" model ships from "One Piece". 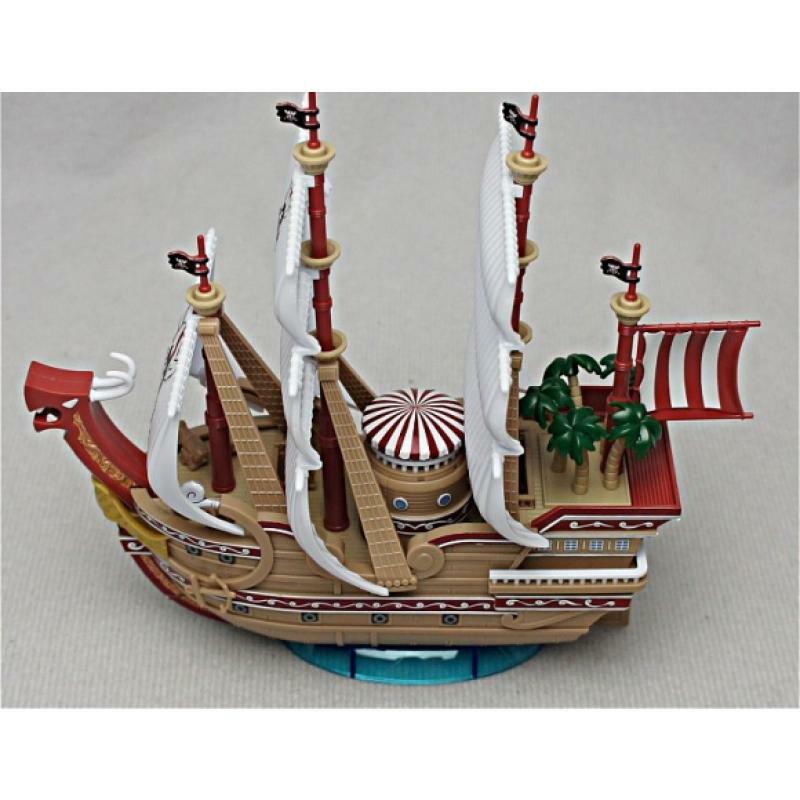 Its compact size makes it easy to display and requires no tools to assemble. 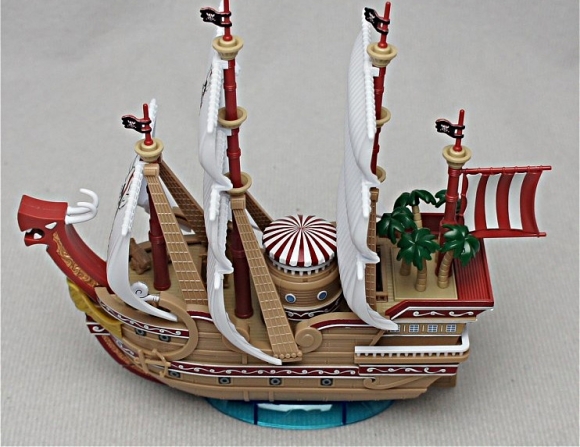 Through the use of pre-colored plastic and stickers there's no need for paint. You can re-create the ship with sails unfurled or without sails. 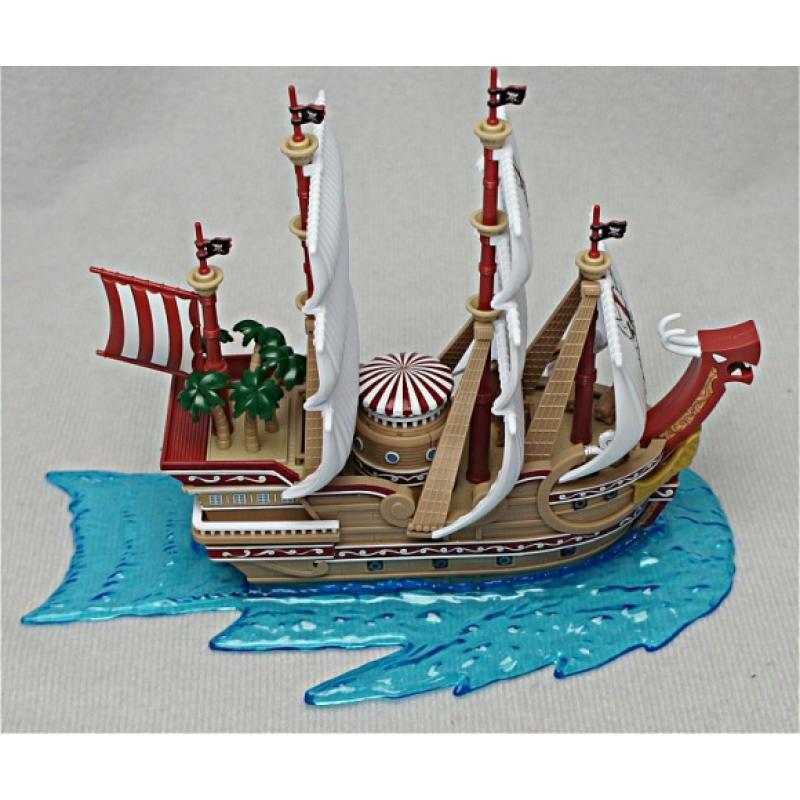 Includes a ocean surface effect part. 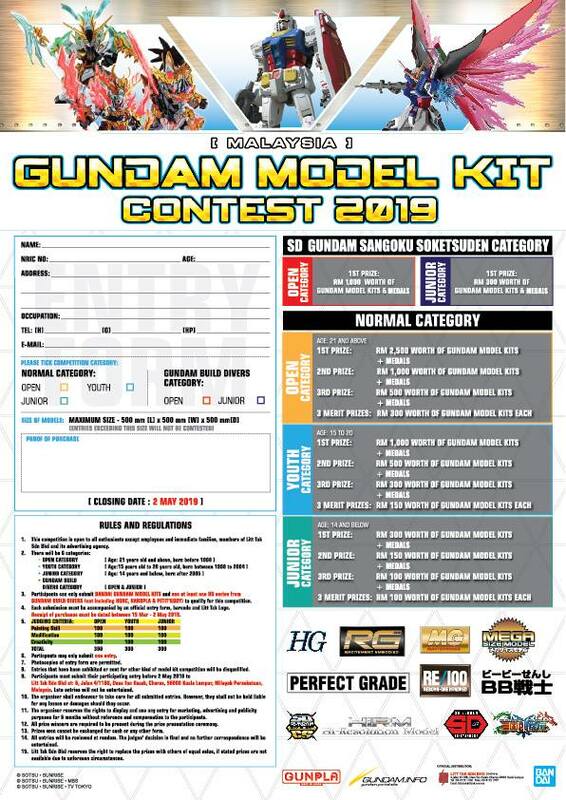 Compatible with the action base 2.